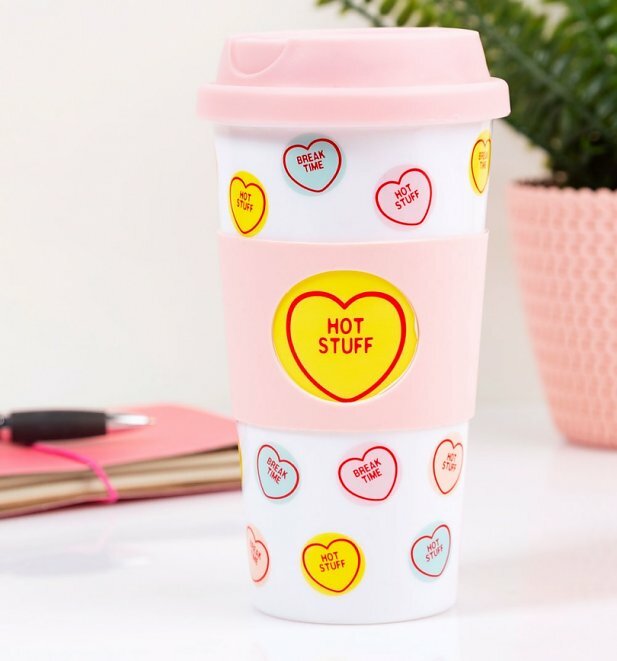 Hot stuff, coming through! 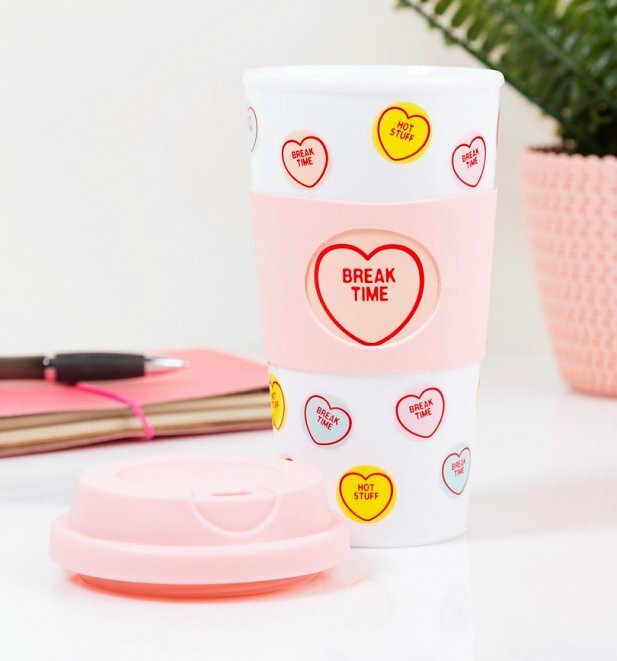 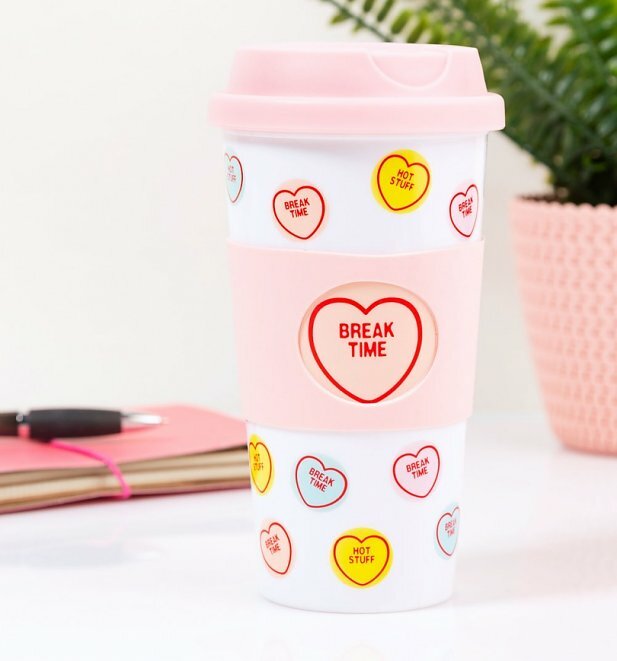 If, like us, you need a little extra love for the mornings, then this sweet Love Hearts travel mug is the way to do it! 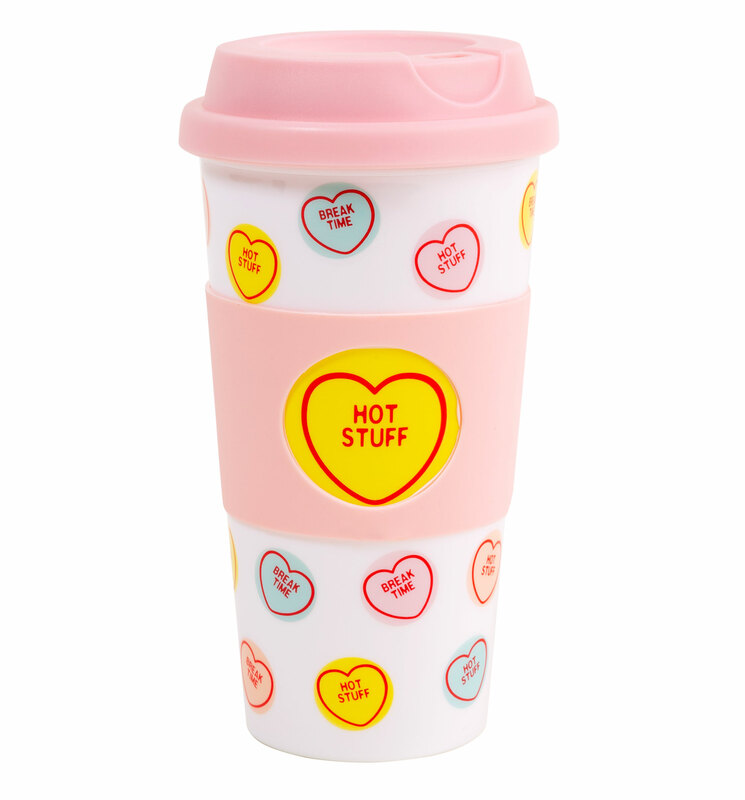 Pop your favourite tea, coffee or hot choc in for extra warm and fuzzy feelings on the go.